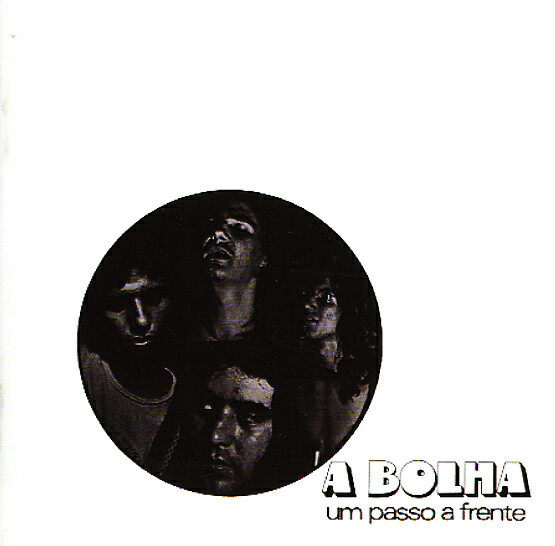 Massively heavy sounds from A Bolha – a Brazilian group who were previously known as The Bubbles, and backed up Gal Costa during the Tropicalia years – but who work here in a fuzzy, bassy groove that's totally great – definitely an heir to the headier sounds of the UK scene at the start of the 70s! The guitars are definitely in full force here, but the basslines drive things along strongly too – echoing some of the Peruvian sounds of the time, but with a bit more Brazilian sophistication – and definitely a musical echo of lessons learned during Tropicalia, even though the set's a fully instrumental one. Organ also figures in the mix too – and titles include "Bye My Friend", "Razao De Existir", "Um Passo A Frente", "A Esfera", and "Neste Rock Forever". Bonus tracks include "Sem Nada" and "18:30 Parte 1". © 1996-2019, Dusty Groove, Inc.